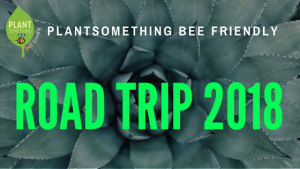 PlantSomething Bee Friendly is going on a road trip! On Thursday, August 15 to Friday, August 17, we will be visiting your favourite garden centres throughout the BC interior. Starting with Chilliwack, we will be stopping in Kamloops, Vernon, Armstrong, Kelowna, Summerland, Penticton and Abbotsford to discuss pollinator plants for different regions around BC. Watch our social media pages as we share photos and videos from the road trip and learn how to make the best pollinator gardens for year round. We will be talking about the right plants for vacation homes, small spaces, low maintenance and permanent residences.